NOTE CARD (blank). Price includes shipping in Canada/USA. Gold and indigo were treasured by ancient matriarchal and Amazon societies, and this image honours that timeless spirit. 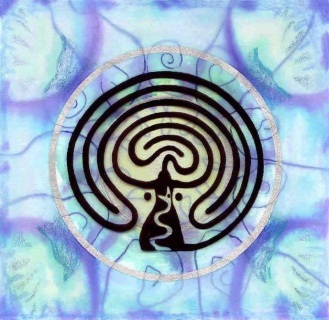 The Priestesses of Avalon walked the labyrinth to connect with the Goddess and the sacred landscape of ancient Britain. Found worldwide, the serpent is a symbol of the powerful energies, or ley lines, of the earth, and of fertility and regeneration. By walking this special labyrinth we can receive Her wisdom and guidance, and celebrate the Goddess within! The Celtic Warrior Women and Amazons of the Ukrainian Steppes (early Iron Age) held a unique position in society. The controlled much of the wealth, performed rituals for their clans as Priestesses, hunted on horseback and rode into battle fully armed to protect their territories. 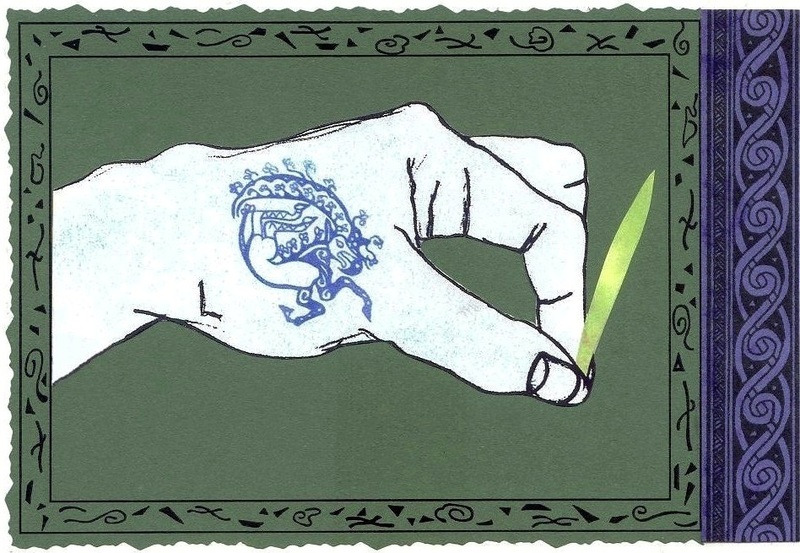 In my own Scots Gaelic tradition, there are ancient narratives of shapeshifting between beings in Earth Community, or at least the acknowledgement that our Ancestors were not necessarily human. I find the mystical poem "The Song of Amergin" as mentioned by Elen Sentier in Following the Deer Trods fascinating, as it defines our sacred kinship with the creatures and elements of the natural world. "All of the things that he has been, enable Amergin to know how their lives are, how they think, how they feel, how it is to be them. 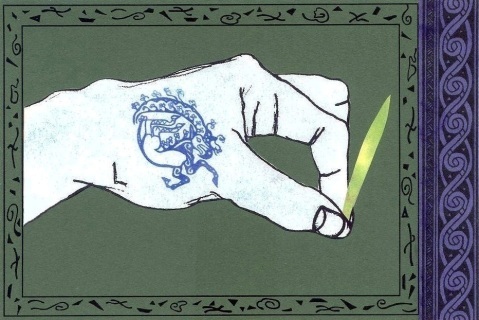 It’s a form of shapeshifting and the ultimate way of learning for the awenydd." 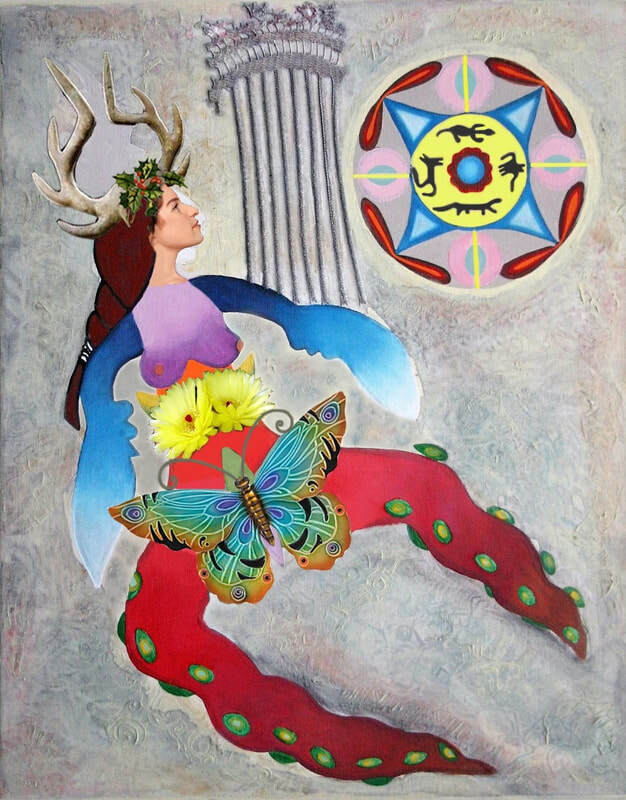 (Elen Sentier) These animist skills may be (for the most part) lost in the modern world, but my vibrant and whimsical mixed-media piece "Shapeshifter - Being Anwynn" evokes the bright mystery of a Wise Woman and her transformational powers. Earth Community shares common forms, patterns and symbols, and my art also pays homage to the Wheel of the Year and the timeless celebrations that sing to the Celtic soul. Limited edition archival-quality GICLEE PRINT, edition of 75, signed and numbered, ready-to-frame. Image size 5x7, presentation package 8x10. Price includes shipping in Canada/USA. 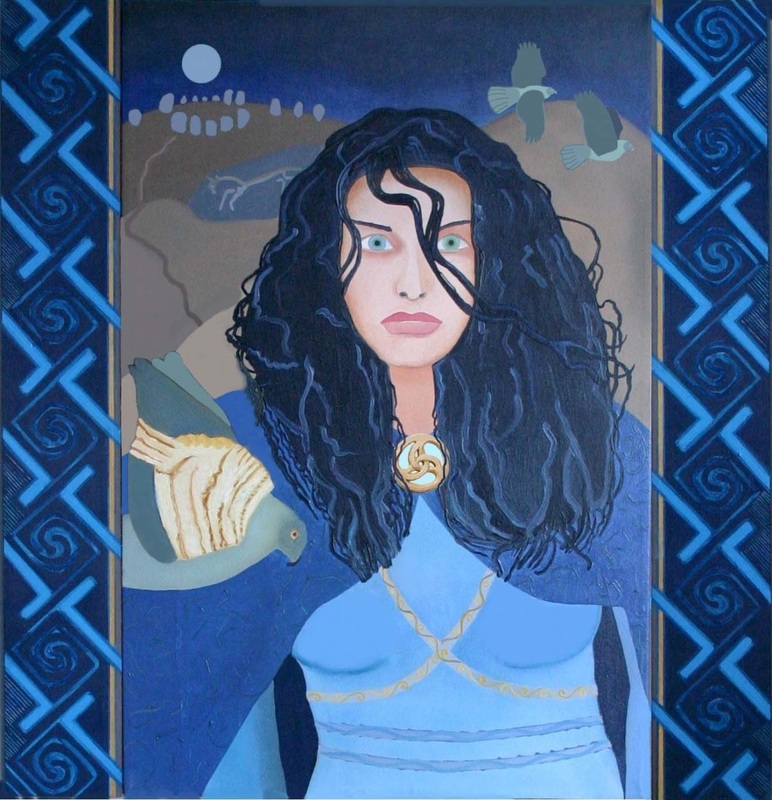 In ancient times, egalitarian matriarchal societies contributed to the roots of Celtic culture, and the beauty of this knowledge can be reconstructed through time and space from existing traditions, folklore, ancestral memory and dream archaeology. 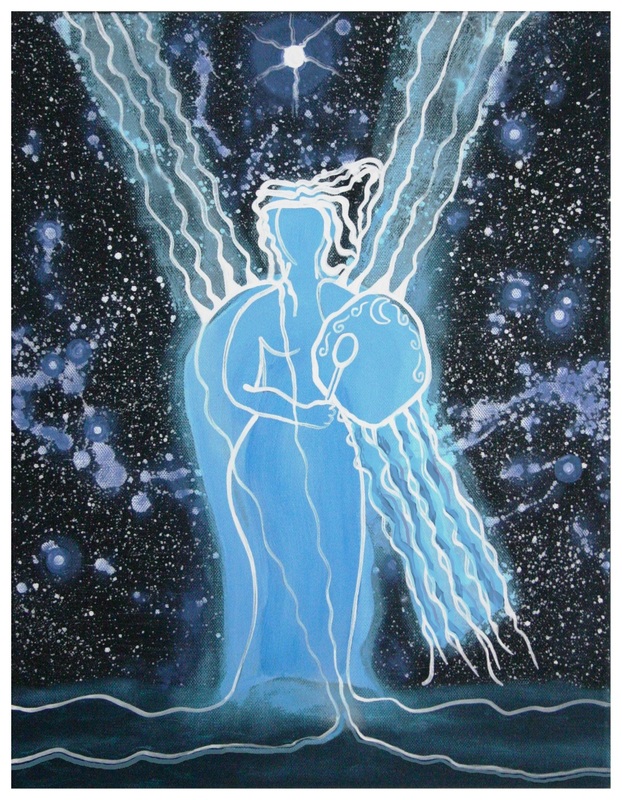 The recovery of our authentic roots and matriarchal wisdom is key to a reconstructed practice of earth-centered spirituality. 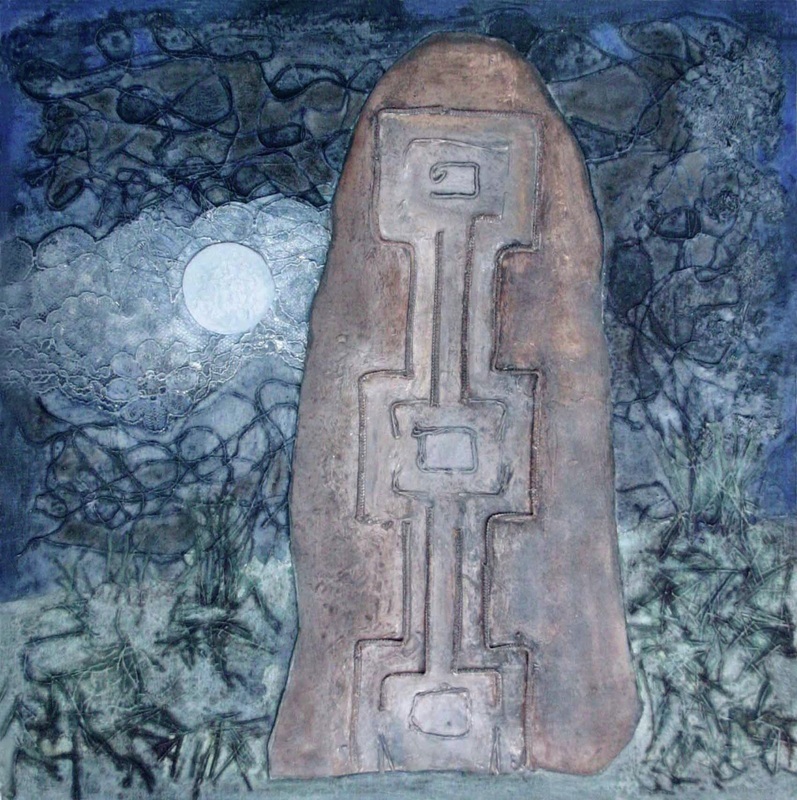 This collage was inspired by a pillar marked with traditional Celtic symbols in Glencolumbkille, County Donegal, Ireland. In the same village, a monastery was built on top of megalithic ruins that had been originally built using the principles of sacred geometry. 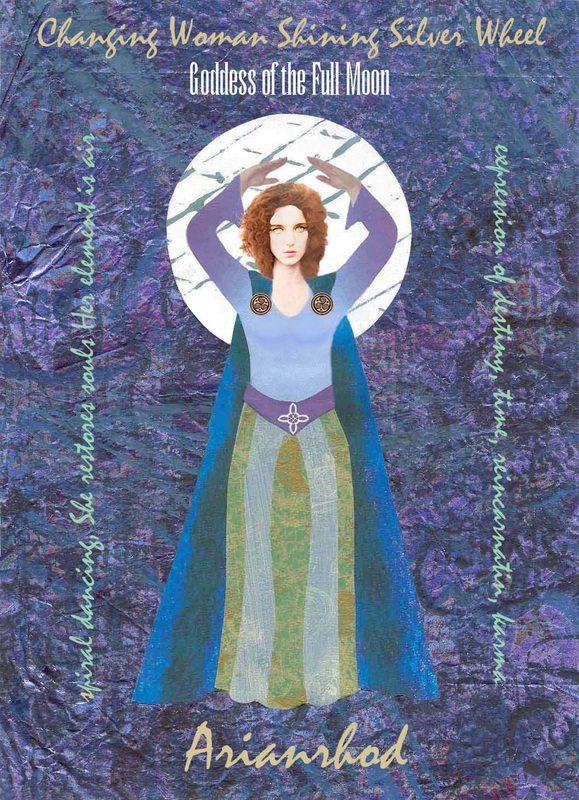 Celtic Moon Goddess and Lady of the Silver Wheel, Arianrhod challenges us to take control of our own destiny. 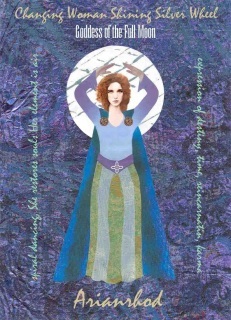 Her great turning wheel of fate continues to spin through all of our initiations, transformations and reincarnations. "She changes everything She touches and everything She touches changes." 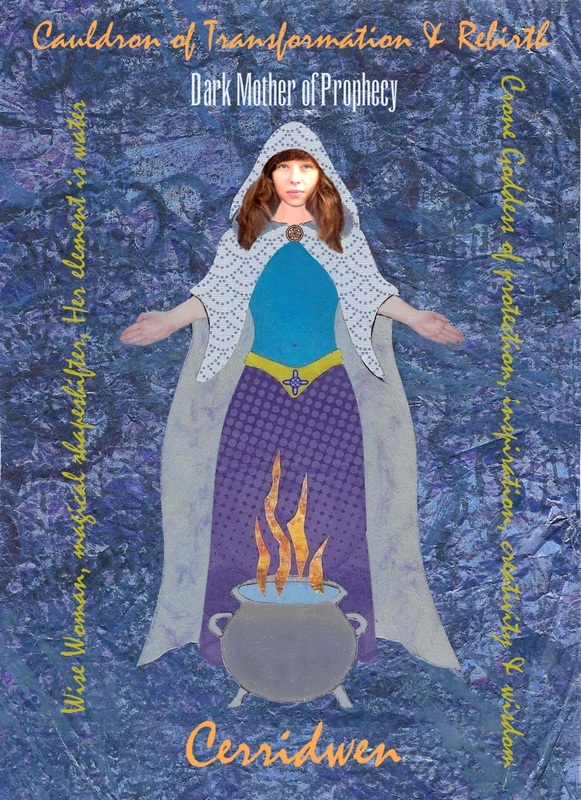 Cerridwen, Dark Mother of Prophecy, is worshipped in her wise woman Crone aspect through the cauldron of inspiration, transformation and rebirth. 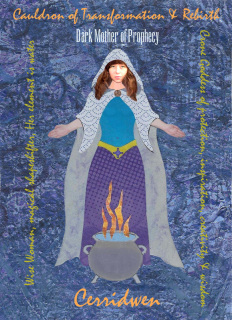 The cauldron has an intimate association with femininity, and is linked with justice and intelligence. 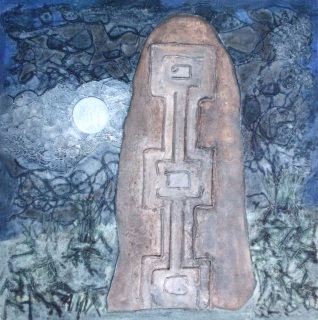 Invoke Cerridwen for protection, healing, poetic ideas and insightful wisdom.